"Beloved Story Achieves New Heights"
A live action version of the 1941 animated classic, DUMBO tells the beloved story of a young elephant with big ears who can fly and then is separated from his mother. Directed by Tim Burton, DUMBO is beautifully made, with a strong moral worldview about the need for family and helping others, along with lots of suspense that may scare very young children. A live action version of the 1941 animated classic, DUMBO tells the beloved story of a young elephant with big ears who can fly but then is separated from his mother. Directed by Tim Burton, DUMBO is beautifully made, with a strong moral worldview about the need for family and helping others, along with lots of suspense that may scare very young children. Holt Farrier returns from the war to see his children and continue working at the Medici Circus. When Holt sees his children and everyone at the circus, they are thrilled he’s back, but they see he’s lost one of his arms in the war. Also, his wife has died from influenza. The circus hasn’t been well either. Max Medici, the owner, has had to make some cutbacks. One thing Max has done is buy an elephant who’s pregnant. Max immediately puts Holt in charge of taking care of the elephant. When the elephant has a little baby, the entire circus is thrilled, but the baby looks different than any other elephant that they have ever seen, with huge ears and a small head. Holt’s children, Milly and Joe, love the little elephant and eventually call him Dumbo. When they are trying to make Dumbo comfortable, they find out that he can fly. They think, that if only Dumbo will fly for the others, then he can become a big act in the circus and save the circus from going bankrupt. It is finally time for Dumbo to perform in the circus ring, and he does indeed fly, but commotion ensues and his mother gets angry. The entire circus tent goes under, and his mother is taken away. Dumbo is saddened, but now Max, Holt and the rest of the circus know that Dumbo can fly and can save the circus. When an entrepreneur comes to town to see Dumbo, he wants to take the entire Medici circus to his theme park called Dreamland. The question is, will Dumbo perform at Dreamland without his mother? This live-action version of the classic 1941 cartoon DUMBO is extremely well made. Tim Burton has done a great job expanded the story and making the story interesting, but not as dark as many of his other movies. The movie still has the feel, tone and quirkiness of a Tim Burton movie. Young children may get scared from the movie’s suspense. Also, some of the acting done by the children in the film could be better, but it shouldn’t distract audiences. It is interesting that Burton has added in some odes to Disneyland, with Walt Disney’s Carousel of Progress and the overall feel of the theme park Dreamland. The entrepreneurial character who creates Dreamland has a cynical undertone, which leaves audiences wondering the message Burton was trying to say about Walt Disney. Overall, however, audiences will enjoy this version of DUMBO, just as they enjoyed the 1941 version of the animated movie. DUMBO has a strong moral worldview about the importance of family. The entire premise of the movie is based on the idea that families should be together and children need their mother and their father. The movie has a positive, moral worldview that will leave audiences crying, laughing and smiling. Also, several times, the movie mentions miracles. There are some light environmental worldview elements to the movie, but they mostly show that human beings have a duty to take care of animals. Greed, anger, deceit, but rebuked. 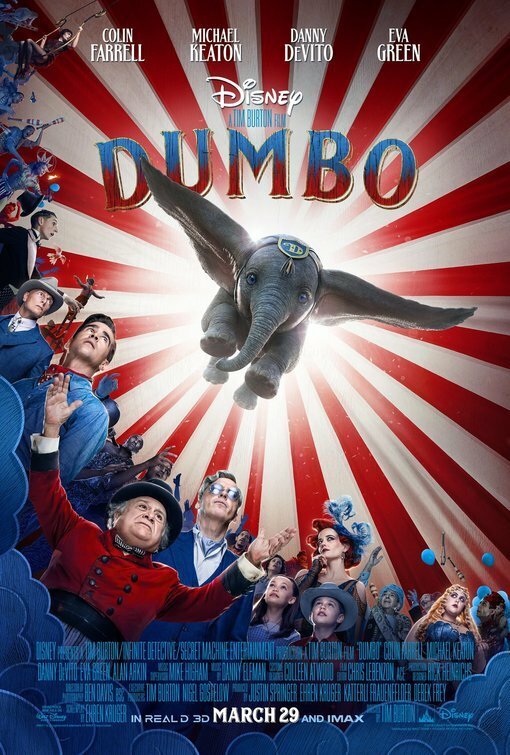 Set in the early 1900s, DUMBO follows performers in the Medici Brothers’ Circus. One day a new elephant addition to the circus gives birth to a baby named Dumbo who has oddly large ears that prompt ridicule. The Medici Circus is on the breach of shutting down forever. However, when two children care for Dumbo, they discover Dumbo’s extraordinary talent to fly. Dumbo’s ability could save the circus and bring everyone’s future to new heights. Directed by Tim Burton, this version of DUMBO is beautifully made. Burton has done a great job expanding the story and making the story interesting, but not as dark as many of his other movies. The movie still has the feel, tone and quirkiness of a Tim Burton movie. It also has a strong moral worldview about the need for family that will leave audiences crying, laughing and smiling. There are some light environmental elements, but they mostly show that human beings have a duty to take care of animals. DUMBO is appropriate for all ages, though very young children may get scared by the story’s suspenseful moments.